Published: 08:52 Friday - June 22, 2012 Duong Lam village located in Son Tay Town (about 60km from Hanoi Capital) is the first ancient village recognised as a national relic by the Ministry of Culture and Information. 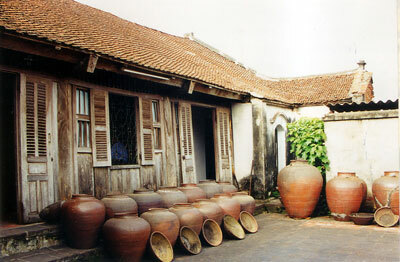 The ancient village has a history of 1,200 years with many houses dating back up to 400 years. One impressive thing about the village is that most of the buildings here are made of laterite and mud, two materials that are abundant in the area. Laterite is used on house walls, gates, wells, and so forth and the mud is taken from ponds. 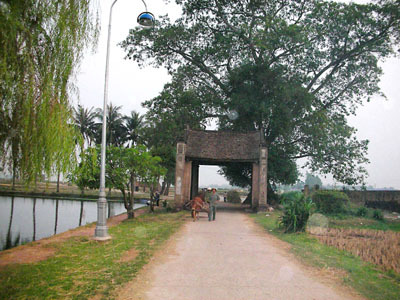 Besides, its historical and tourism values, Duong Lam village is an important place for scientists to study resident communities in ancient agriculture. 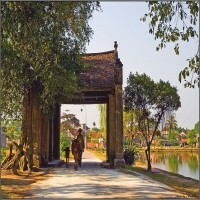 The village gate, banyan, well, communal house are crucial factors in classifying Duong Lam ancient village. 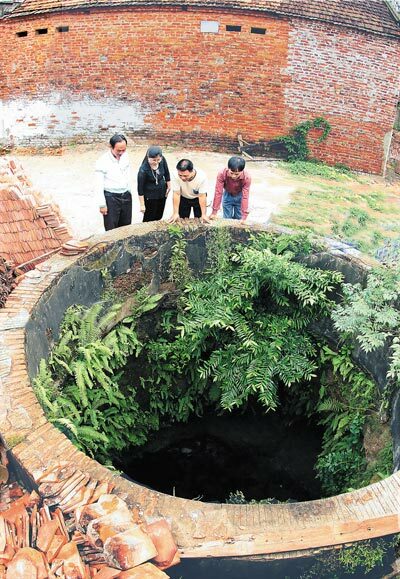 The common well, built in every hamlet in Duong Lam village brings the name of the hamlet which located. Today, each family possesses its own well but the common well has been protected because it maintains many imprints of the villagers. The communal house is a worshipping place of the god – founder of the village. 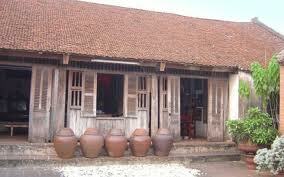 The ancient village includes 5 villages so it has 5 communal houses. 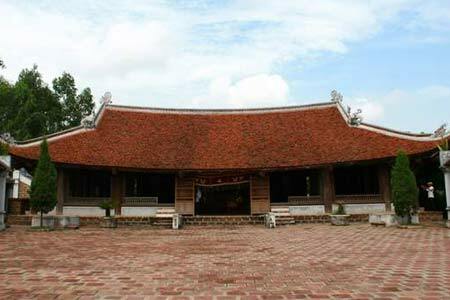 Doai Giap and Cam Lam communal houses dedicated to Phung Hung – the national hero who won the victory against invaders under Duong Dynasty; Cam Thinh communal house dedicated both the founder of the village and great mandarin Cao Phuc Dien – the hero under Le Dynasty. Dong Sang communal house worships the God but it was destroyed by fire and was restored by financial support from people. The god Tan Vien Son was dedicated in Mong Phu communal house. Up to now, Mong Phu communal house is a gathering place of the villagers for cultural activities. The communal house was made carefully with sophisticated decoration details. It is considered as a flower of unique sculptural architecture. In recent years, many relics in the villages like: Mia Pagoda, Phung Hung Temple, Ngo Quyen Temple and Mong Phu communal house have been restored. Nevertheless, it is important to preserve both the tangible cultural relics, and intangible cultural relics, ecological environment that they should be carried out synchronously. The construction of new cultural buildings which aims to honour the history, national heroes and boost tourism activity should be ensured the harmony between traditional and modern cultural values and the relations between preservation and development. An impressive scenery of Duong Lam ancient village, Phuoc Tich - Village of beam manors. You also can visit our sites: Entertainment, Nature & Adventure, Villages, Nightlife.